The relation between physical and mental wellbeing has a great impact on the quality and length of life and on the society as a whole. Mental wellbeing supports good physical health and vice versa. Therefore it is important that we pay equal attention to not only how we look, but also to how we really feel on the inside. Having a busy work and personal schedule, hurrying from one place to another, getting stuck in a traffic jam, multitasking ….the list goes on and on. Over time society adjusted to this lifestyle and therefore we tend to forget the negative effects this can leave on the body and mind. Stop for a second and rewind your daily routine. What does your morning look like? Are you one of those people who get ready in a few minutes before rushing out of the door to a busy work schedule full of deadlines and meetings whilst holding onto your favourite reusable coffee cup? Do you manage to fit in a short work-out before or after work? Do you even make time for a healthy breakfast before embarking on your a day? As a result, such a lifestyle can eventually lead to cardiovascular disease, obesity, anxiety, built up tension, stroke and many other complications. It is very important that we take a break for ourselves and every once in a while, truly enjoy our free time whilst contributing to our over all health and health-being. The full body Swedish Massage is exceptionally beneficial for increasing the level of oxygen in the blood, decreasing muscle toxins, improving circulation and flexibility, while easing tension. Our Anti-Stress Head and Back Massage will relieve stress and help to ease the tension built up over time. Aromatherapy is a form of alternative medicine which uses volatile plant materials known as essential oils, and other aromatic compounds for the purpose of altering a person’s mind, mood or health. Anti-Cellulite Massage is beneficial in many ways. It drastically improves the appearance and health of your skin. The anti-cellulite body massage is a type of body treatment that favours the elimination of toxins that accumulate in specific areas of the body. This is a therapy passed on from master to disciple for over 2,500 years and is based on Ayurvedic medicine and yoga. Through deep body work, it helps re- establish our life energy and rebalance our physical, mental and emotional aspect. The Hot Stone Massage is an ancient oriental therapy that has many benefits for both the body and mind. It consists of using the perfect combination of hot basalt lava stones, essential oils, and deep massage that help to release tension and reduce stress. Take a break from the hectic life and enjoy a relaxing massage at a superior spa hotel in Malta. 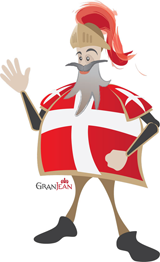 The team at Le Grand Spa are happy to assist you with any queries. Please feel free to contact the Spa Team on 23192115 or by email on spa@excelsior.com.mt. This entry was posted in Excelsior Hotel Malta, Holidays in Malta, Le Grand Spa Malta, Luxury Malta Hotel, Spa and Wellness Malta, Spa Malta, Weekend Break Malta and tagged grand hotel excelsior malta, healthy lifestyle, le grand spa, relaxation, spa hotel in malta, spa massage on June 23, 2014 by Denise Camilleri. Fancy a special summer spa experience? 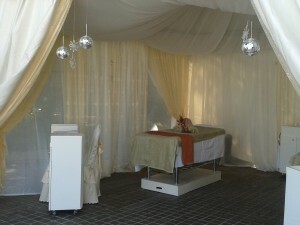 Would you like to experience a massage or a beauty treatment whilst enjoying this lovely weather? Le Grand Spa at the Grand Hotel Excelsior Malta has introduced ‘Treatments under the Canopy’, spa treatments by our outdoor pool. So this Summer if you will be staying at this luxury 5 star hotel in Malta, enjoy a dip in the pool or relax on our private beach and be sure to complement your relaxing day by booking a massage or an express treatment under the canopy. For more information or should you wish to book one of our spa treatments kindly contact Le Grand Spa on spa@excelsior.com.mt or on +356 21250520. This entry was posted in About Malta, Excelsior Hotel Malta, Holidays in Malta, Le Grand Spa Malta, Luxury Malta Hotel, Spa and Wellness Malta, Spa Malta, Weekend Break Malta and tagged excelsiormalta, holidays, hotel, malta on June 17, 2014 by Denise Camilleri.